1st Punisher, App & Origin! Perfect to complete a collection or add. No reserve highest bidder wins. A must have for any Comic Book Collector and a rare opportunity to own a Bronze Age Super Key Original. These are Highly sought after and have some of the most beautiful artwork. Punisher is one of Marvels most recognized characters, and probably has one of the largest cult followings. Books like this one only go up in Value over time. With Frank castles debut in the new Daredevil Season the book has continued to demonstrate its importance and value. The Spider-man, Punisher and Daredevil Franchises are must have Classic titles and about to blow up even further with movies on the way. Take a close look, Zoom in and decide for yourself. A beautiful looking copy great centering color and eye appeal. It is nearly impossible to find Raw Copies of these that are worth grading, The $$$ and Hard work has already been done for you. 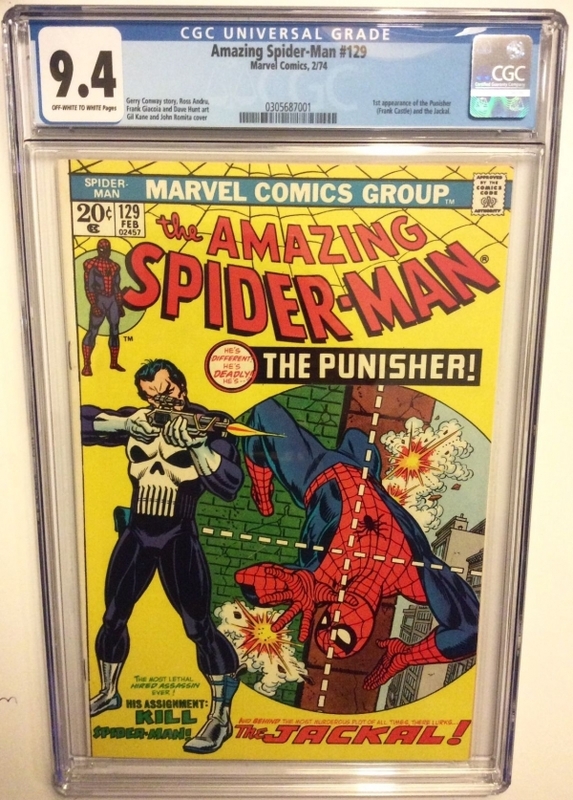 Furthermore, CGC has assigned near perfect page Quality and centering. All Serious bids will be considered. If you Have any Questions Please Email. Good Luck bidding.